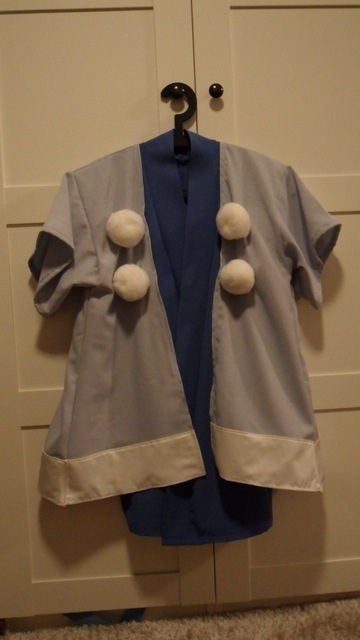 Shiro Samurai's Cosplay: Falkner close to done! 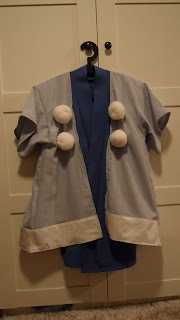 I've done some more Falkner progress today, I'm close to the goal now! Huge and fluffy pom poms! I just handsewed them to the jacket's front. 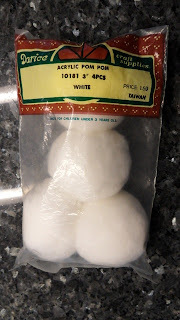 I didn't want to glue them on because if I would need to wash the jacket in the future the pom poms would get damaged. It's better to sew them on so I can just remove the stitches holding them in place if I need to. 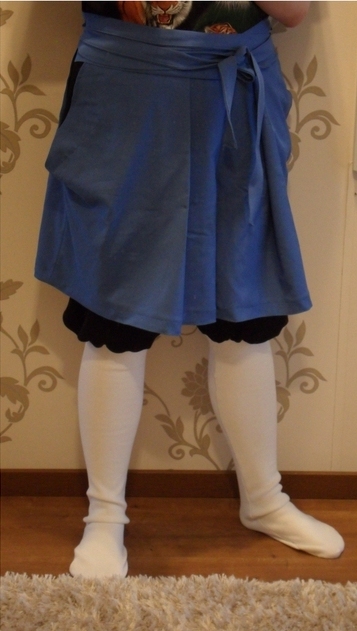 I'm kinda pleased with the cosplay so far except that there's some flaws like the skipped stitches and some other things. *shrugs* Oh well, I think it's fine considering I've done this in such a rush, ahaha. 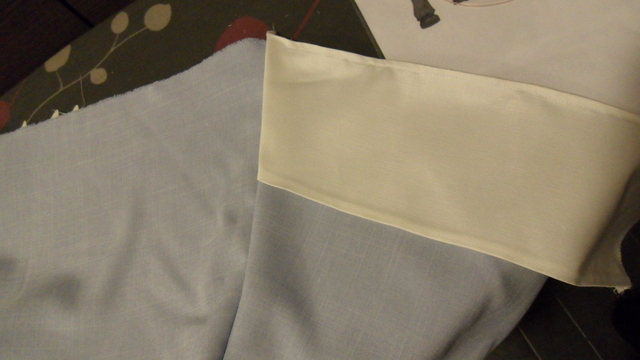 It's not too bad but I could have been more careful with the sewing sometimes. ._. Hmmm... now I only have left to fix the shoes. I hope I'll get them over and done with soon so that I can start focusing on the packing. Great work on it. I hope you will have a great time at the con also.